3 hungry tummies: Keo Jiap Mee 茄汁麵 Kuching Tomato Noodles - Merdeka Open House 2011 & "Malaysian Monday 52"
Keo Jiap Mee 茄汁麵 Kuching Tomato Noodles - Merdeka Open House 2011 & "Malaysian Monday 52"
The celebration of our independence day this year might have been postponed to the 16th of September (Malaysian day) but the annual Merdeka Open House at Babe In The City - KL is business as usual on the 31th of August. 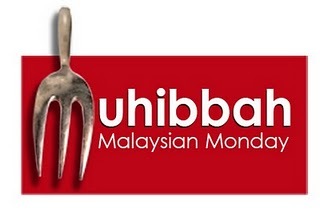 I received an email from Pick Shan (Babe In The City - KL) announcing the theme for this year's Merdeka open house - Makan (eating) Through Malaysia . I had almost given up on taking part as all dishes have to be famously linked to a place or state in Malaysia and I have done most such dishes that I know of (ie. Ipoh hor fun, Penang laksa, Penang prawn paste chee cheong fun, KL hokkien noodles, Kuching laksa). Fortunately I did manage to find a dish that is unique to Kuching, the only other place in Malaysia (apart from my hometown Cameron Highlands) that I called home for more than 3 years in the 90's. Culture shock would be an understatement after my many years in Singapore; I did however warm up to the charming city, its people and their way of life. I soon learnt to speak the lingua franca - Hokkien (while many Singaporeans would avoid speaking Hokkien, most Kuchingnites speak Hokkien regardless of their race and class/status) and also grew very fondly of some of the local dishes that I resisted at first and Keo jiap mee (keo jiap = tomato ketchup, mee = noodles in Hokkien) is just one of them. With a thickened sauce poured over some pre-fried noodles, it looks and sounds unmistakenly like a Cantonese style fried noodle dish (廣府炒) but wait a minute there is tomato ketchup in the sauce! It is strangely delicious but no one seems to know or care too much about the origin of the dish. Could it be a colonial legacy like the Hainanese chicken chop we have on the peninsular? Or a mistake by adding tomato ketchup instead of the intended oyster sauce while preparing the for mentioned dish? If you do know the answer please unveil it so we can all put the mystery to a rest. As a West Malaysian I am bias towards the familiar wat dan hor or Cantonese style yuen yong but a plate of keo jiap mee (or kway teow- for the rice noodles version please click here) will always remind me of my friends and the good memories I left behind in Kuching. I am submitting this to Babe In The City - KL's Merdeka open house 2011. Marinate chicken slices with a dash of light soy, sesame oil, white pepper and corn flour. Boil the noodles until al dente, rinse with cold water and drain well. You may deep fry the noodles like most hawkers in Kuching would but I do prefer to pan fry mine. I think it works much better this way and it is also a lot easier with home cook like us to deal with. Saute ginger and garlic with a little cooking oil then add in the prawns and chicken and cook for a minute. Add choysum and fish cake slices, cook for 30 seconds before adding the stock and seasonings. Check for seasonings before thicken the sauce with the prepared corn flour solution. Pour the sauce over the awaiting noodles and serve with some red chillies in vinegar - unlike us, our eastern cousins prefer this over our beloved pickled green chillies. To find out more about the event and on how to enter, please click HERE. Good to know more about you through post like this. I am going to give this a try and pay more attention to the origin of everything I eat from now on. Very enjoyable post. Good on you for learning a new language! The story makes this ordinary dish a rather special one. Thanks for a good read and a new dish to me. I have never been to east malaysia and would love to see more interesting dishes like this from over there. I hate to say this... I've never tasted this before :p but I'm bound to like it as I like tomato. Thanks for participating Suresh, do check back for the Merdeka round up. It does sound interesting with the ketchup in there (I think I might have some, I don't use it) This would definitely worth trying! I'll have to check out all the other recipes too! Yum! Your food always looks so good. I am envious of your seemingly endless supply of fresh ingredients. I've never tasted mee with tomato ketchup. Think tomato ketchup is added to won ton mee in Singapore but you can opt not to. But yours look very appealing. Looks good.. like sang mee to me... can serve that esp on birthday functions! Anything that is called keoh jiap mee must be good. Love such heritage dishes that is truly comfort food for us Singaporeans and Malaysians. I do like the story behind an otherwise simple dish. Never been to East malaysia and i would love to see similar dishes from over there. This dish, if I'm not mistaken can only be found in East Malaysia. It's very delicious. Oh ya ! tomato mee. I missed this mee so much. Kuching still have the best tomato mee. tried once during my last trip back to Miri. not as good as kuching tomato mee. Hmmm...interesting dish, I never have it either. I'm away from M'sia for too long that lots of dishes I have never try before.